We are seriously loving on this gorgeous lavender and gray wedding we recently did for Sam and Adam at The Gallery in Houston, Texas! 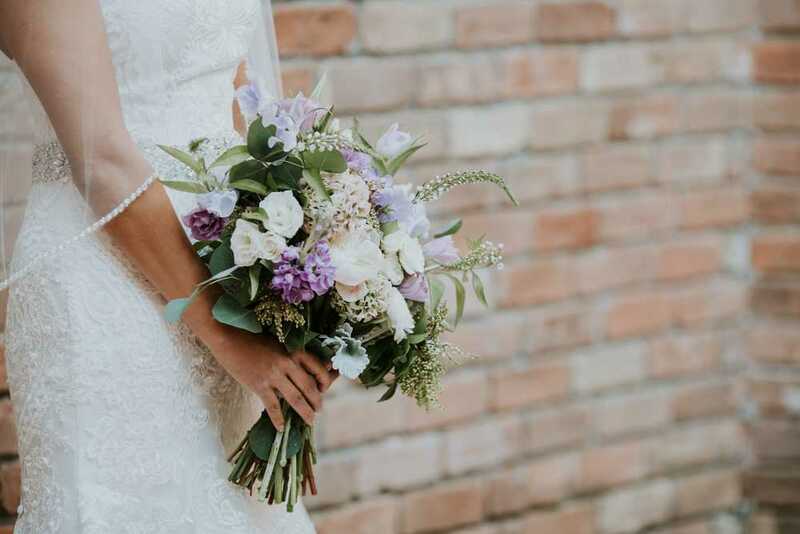 The garden-inspired wedding featured lush lavender and blush blooms, and The Gallery, with it's Tuscan-inspired backdrop was so perfect for this lovely day! Sam was a seriously stunning bride! Adam's simple white ranunculus boutonniere with rosemary was the perfect detail! One of our favorite pieces was the large floral arrangement in a fountain in the courtyard, which was overflowing with lush hydrangeas and lavender roses. This sweet couple put so much thought into the details at their reception, which was actually celebrating their elopement in gorgeous Pasa Robles, California. Did we mention they planned their celebration in less than two months!? The amazing wedding planners at Piper and Muse did an amazing job of pulling all the details together to make it an unforgettable night. LOVED this tall hydrangea centerpiece! A gorgeous garden compote arrangement in lush lavender. Love cocktail arrangements in mercury glass! The bride's family is Cambodian, and the night was complete with tons of traditional dancing and amazing food. The sweets bar by Petite Sweets in Houston was especially delectable. The sweet bride wanted flowers everywhere, so obviously we love her and made that happen! Ron Dillon did an amazing job capturing this sweet couple, and we wish them all the best!